UAE, June 14 2015: Ocean Spray has officially introduced its popular dried cranberries - Craisins® Dried Cranberries in the UAE today. Craisins® Dried Cranberries are high in fiber and delightfully tasty, whilst being a healthy snack that’s fat-free and cholesterol-free. At the launch event, guests were treated to an array of dishes and delicacies prepared using Craisins® Dried Cranberries, showcasing the multi-dimensional flavor and ultimate versatility of the product. With the Holy month of Ramadan on the horizon, Craisins® Dried Cranberries make for a healthy addition to the regions popular rice and meat dishes, giving people a flavorful twist to their Iftaar meals. 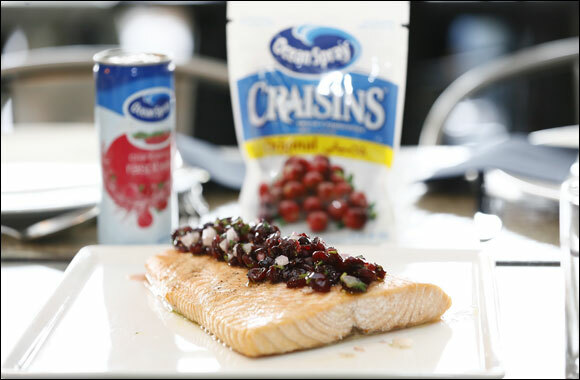 Craisins® Dried Cranberries, like cranberry juice cocktail, have the same cranberry elements that may also help maintain urinary tract health, which is an added advantage during the period of low water intake and fasting. Craisins® Dried Cranberries are now available in three flavors Original, Pomegranate and Blueberry in supermarkets and stores across the UAE, KSA and Lebanon.